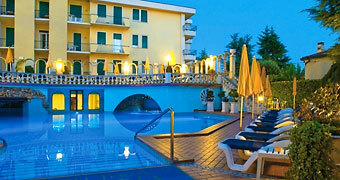 Montegrotto Terme is situated in the middle of the Venetian Plane, at the foot of the Euganei Hills. The site is not only enchantingly beautiful but also strategically important and makes Montegrotto Terme the ideal place, close to Vicenza, Verona and Treviso, from which to visit the Veneto region. 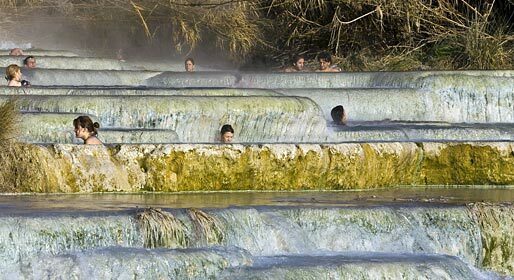 Montegrotto Terme has been a rehabilitative spa center for thousands of years, and was already famous in Roman times. The name is derived from the Roman name "Mons Aegrottorum", which means "the patients' mountain". The tourist complex is extremely modern and houses more than 40 hotels and various leisure facilities. 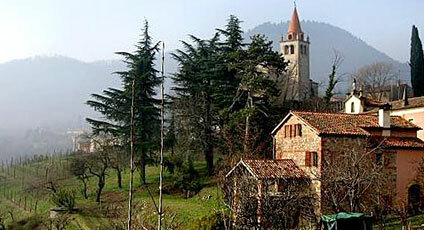 There are three golf courses, mountain bike routes, and excursions can be made into the Colli Euganei Park. To see: the Church of St Pietro, the Eliseo and Oratory of the Madonna, the Cathedral of St Pietro and Villa Draghi, part of the cultural heritage of Montegrotto Terme. An event well worth visiting the Butterfly Arc, an exhibition of live butterflies, the first of its kind to be created in Italy. For this event three large gardens are opened to the public; the Amazonian, Indo Australian and African gardens.